In its 34th year of honoring the nation’s best high school athletes, The Gatorade Company, today announced Jasmine Turtle-Morales of Eldorado High School as its 2018-19 Gatorade New Mexico Girls Cross Country Runner of the Year. 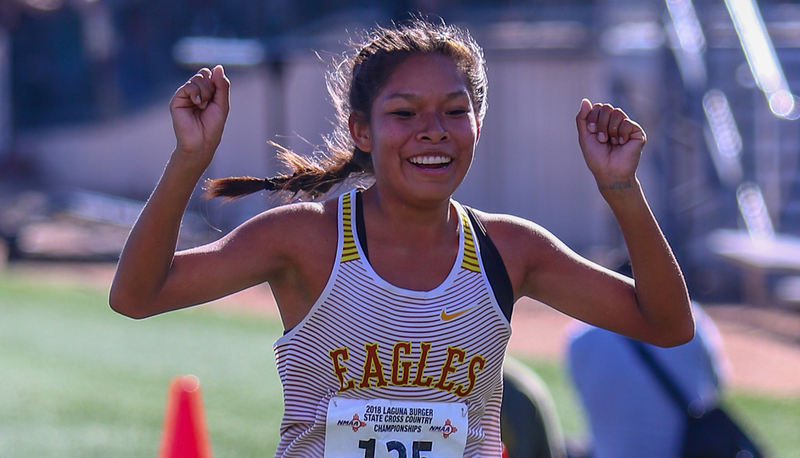 Turtle-Morales is the second Gatorade New Mexico Girls Cross Country Runner of the Year to be chosen from Eldorado High School. The award, which recognizes not only outstanding athletic excellence, but also high standards of academic achievement and exemplary character demonstrated on and off the racecourse, distinguishes Turtle-Morales as New Mexico’s best high school girls cross country runner. Now a finalist for the prestigious Gatorade National Girls Cross Country Runner of the Year award to be announced in February, Turtle-Morales joins an elite alumni association of past state award-winners in 12 sports, including Lukas Verzbicas (2010-11, 2009-10 Carl Sandburg High School, Orland Park, Ill.), Megan Goethals (2009-10, Rochester High School, Rochester Hills, Mich.), Jordan Hasay (2008-09, Mission College Preparatory Catholic High School, San Luis Obispo, Calif.) and Chris Derrick (2007-08, Neuqua Valley High School, Naperville, Ill.). The 5-foot-1 junior won the Class 5A state meet title this past season with a time of 18:22.45, breaking the tape 25.05 seconds ahead of her next-closest competitor and leading the Eagles to a first-place finish as a team. Turtle-Morales finished 20th at the Nike Cross Nationals Southwest Regional championships, the top New Mexico runner by 32 seconds. Turtle-Morales has maintained a B average in the classroom. She will begin her senior year of high school this fall. 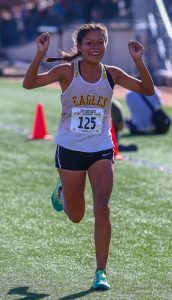 Turtle-Morales joins Gatorade New Mexico Girls Cross Country Runners of the Year Amanda Mayoral (2017-18, 2016-17 & 2015-16, Cleveland High School), Natasha Bernal (2014-15, La Cueva High School), and Kelli Reagan (2013-14, St. Pius X High School) as athletes who have won the cross country award since its inception in 2007. As a part of Gatorade’s cause marketing platform “Play it Forward,” Turtle-Morales has the opportunity to award a $1,000 grant to a local or national youth sports organization of her choosing. She is also eligible to submit an essay to win one of twelve $10,000 spotlight grants for the organization of choice, which will be announced throughout the year.